National Wholesale Supply warrants its products to be free of defects in material of formulation that they were produced by the many manufacturers, They represent to be in accordance, will conform to applicable laws and regulations. In the event of any such warranty, National Wholesale will, at its option, replace any affected products returned to National Wholesale Supply to its manufacturers, or refund shall be National Wholesale's responsibility, ant the buyer's exclusive remedy, for any breach of warranty. With its origins in Philadelphia, BeerRightNow.com is the only and original way for you to order your beer online and get it delivered in as little as 20 minutes. You can also send people Beergrams and set a time for them to receive their beer. This is perfect for birthdays, anniversarys, holidays and BYO events like ballgames and big parties. Show up empty handed, with your beer already there! 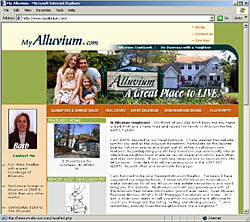 MyAlluvium.com is The Alluvium at Voorhees community portal inclusive of a message board, neighborhood and real estate facts alongside useful community information. 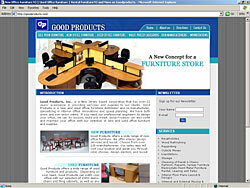 Good Products has been family owned and operated for nearly 30 years. Specializing in refurbished Steelcase, offering a great selection of workstations, desks and seating as well as a host of components and casegoods. 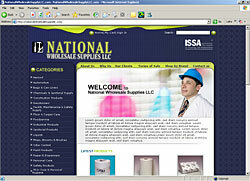 Good Products also deals with GSA contracts, large office liquidation and transportation. 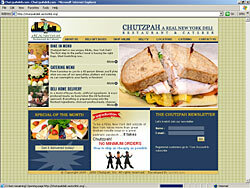 Chutzpah deli is one unique, REAL, New York Deli! 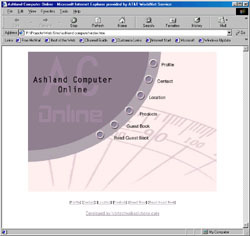 With a name. like Chutzpah, you'd better be good. Hoping to bring to Fairfax a taste of an authentic New York deli, owner Eric Roller sets out pickles and coleslaw on the tables; hired a Brookyln-born chef, Todd Epstein, to cook; and insists on making by hand the corned beef for his sandwiches and even the dough for his kreplach. The menu of the fledgling, 60-seat eatery is sprinkled with Yiddish-along with a few warnings for novices. As in, don't even think about asking for cheese or mayonnaise on your pastrami. "We're trying to educate people" about deli etiquette, says Roller, who grew up in the Bronx. One suburban food spy praises the corned beef but adds that the servers aren't rude enough to qualify as authentic, to which Roller responds "We're too new to start (ticking) people off." ClassyLittleBride.com is owned by Colleen Corcoran and husband, Jeff. 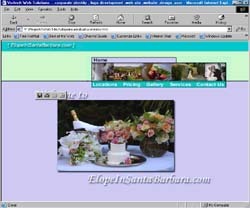 The idea for ClassyLittleBride.com first began during the couples’ wedding preparations. They wanted to create an online boutique that specialized in fun and unique gifts for the stylish bride. Combined with exceptional customer service, they wanted customers to have a SoHo-like shopping experience without having to leave their home. With background in visual marketing and accessory buying industries, Colleen has developed a knack for trend-spotting and continues to travel to find the best new products to bring to you. 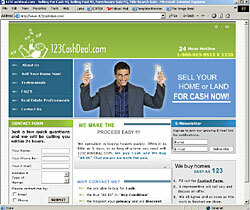 123CASHDEAL specializes in buying houses quickly. 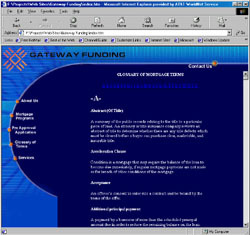 Often in as little as 5 days, or as long of a time as a client might need. The Pet Shoppe is a "family owned and operated" pet store that specializes in well socialized puppies and kittens by caring breeders. 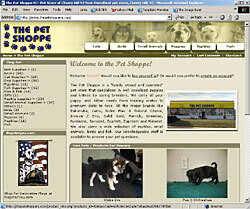 We carry all your puppy and kitten needs from training crates to premium diets to toys. CaterinaFirenze offers the North American to the very best in Italian style, fashion and quality, at prices that will surprise you! Shop online for handmade, ultra high quality apparel from the heart of Florence! Specializing in models, commercial and fine art photography and with years of experience, passion and natural talent, Avi has worked with the best NYC has to offer as well internationally with leading fashion designers and photographers. One of Santa Barbara's most exclusive and sought after wedding photographers. Melissa has over 16 years of experience, care and true artistic talent. WhatToWearWhen LLC mission is to help professionals present an image that will enhance their individual creativity with a sense of style and help them gain knowledge of what to wear, when! 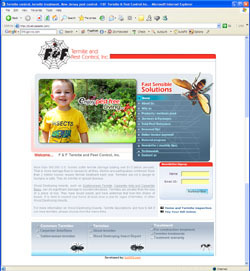 F & F Termite and Pest Control Inc. When it comes to hiring a termite and pest control company, F & F is the smart choice. F & F provides services throughout most of New Jersey and Eastern Pennsylvania. From private homes to many services which are geared to the specific needs of builders and general contractors, both small and large. Some commercial clients include J. J. DeLuca Co., Inc., Richmond American Homes, The Township of Washington in Gloucester County, NJ, Paparone Housing of NJ, Inc., Orleans Homebuilders, and Signature Homes. FCR JR Production Enterprises is an innovative, international entertainment company which specializes in catering to the American and Philipino community with world famous artists and musicians. 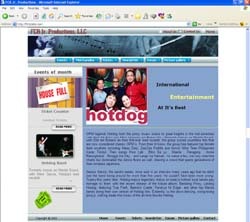 FCR JR also helps introduce fresh bands to their target audience via promotion and event creation. 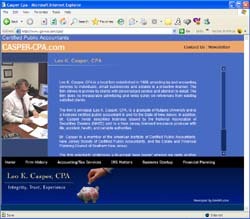 Leo K. Casper, CPA is a local firm established in 1988. Utilizing its experience to leverage client needs by providing tax and accounting services to individuals, small businesses and estates in a proactive manner. 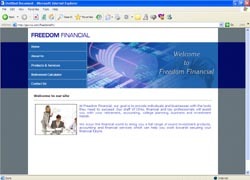 The firm strives to provide its clients with personalized service and attention to detail. 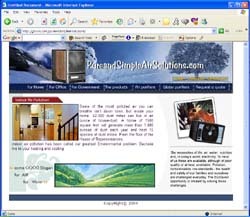 Pure and Simple Air Solutions LLC is an innovative home and office air and water purification distribution and purification conslutancy. With years of experience, passion and education, Barbara will help you navigate the tricky real-estate market to your dream home. Always motivated and upbeat she is your perfect partner in one of the most important events in your life. 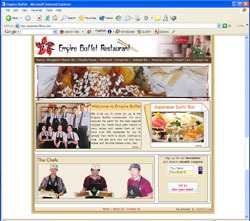 An exquisite, quality Mediterranean cuisine restaurant with a pleasant and accommodating staff. 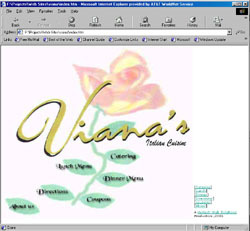 The restaurant has a beautiful view and romantic setting in a casual and unique atmosphere. Elope Santa Barbara is situated in Santa Barbara, CA. The best scenery and a prominent photographer. From the most spartan to the most extravagant ceremonies. 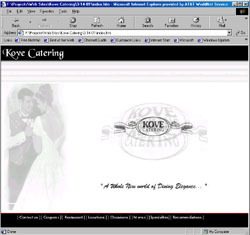 A large, family owned and operated catering company serving New Jersey. Weddings and portraits. With over 16 years of personal experience, care and true artistic capability. Serving both coasts. 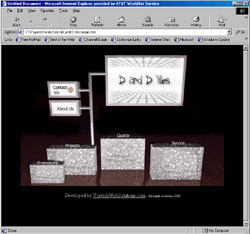 A unique service from a unique company, DRS is a Canadian firm which recruits highly qualified individuals for teaching positions throughout Asia. 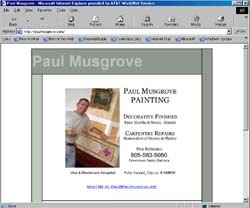 Paul Musgrove Painting, Based in CA. Does Restoration, Decoration & artistic finishing projects from coast to coast. 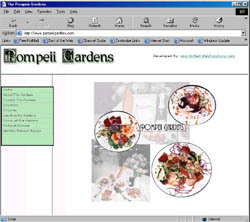 An excellent Computer service and supplier catering to south jersey's corporations and homes. 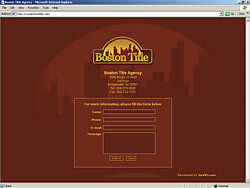 A tiling and flooring company with over 10 years of experience, based in New Jersey. A mortgage company, situated in Cherry Hill, N.J.
An excellent Italian restaurant bursting with atmosphere and over 16 years of experience. situated in Voorhees, New Jersey.